SUPERSIZE Me! 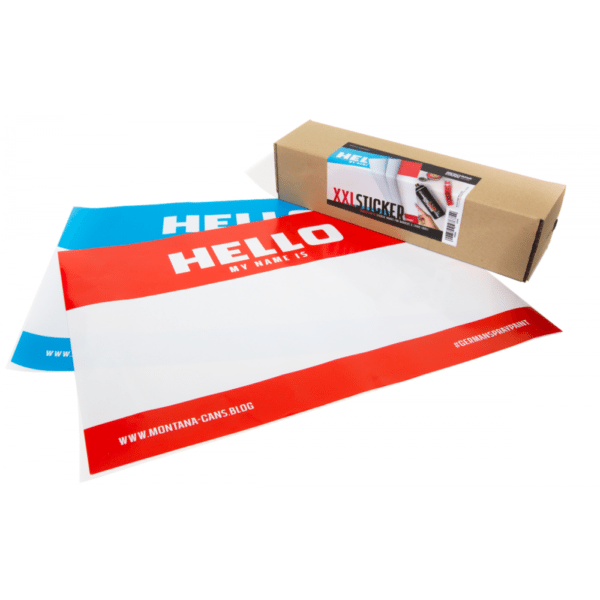 The ever famous „HELLO MY NAME“ sticker is now available in the extra large Din A2 format! The stickers are made of coated adhesive sticker paper, ideal for use with markers and now even spray paint. The back is pre-slit, for easy removal of the backing film. The pack contains 10 x A2 sized (59.4 x 42cm) stickers with 5 in red, and 5 in blue.